Happy Monday! With this bi-polar weather I have decided to pull out my leather jackets. The weather here is so stubborn and you never know when it will rain or let alone snow, hopefully not soon! This red leather jacket is probably one of my favorite jackets in my closet, it’s edgy yet a touch of a fun color. I definitely get a rocker vibe from this look, it’s probably the shoes. Sunday all of our friends came over and we had a Friendsgiving. Since all of our husbands are in the Navy we decided to have a friends Thanksgiving because most of us are traveling for the holidays. We had tons of food and had to handwrite the Cards Against Humanity game, but it was a blast. Thanksgiving is going to be the best yet because my husband and I are traveling with his grandparents to NYC and Williamsburg, a real shindig of a holiday. I’ve never been to New York City so you already know I’m going to have loads of photos to share! A leather jacket is the perfect thing to pull out this time of year. That is such a great color. 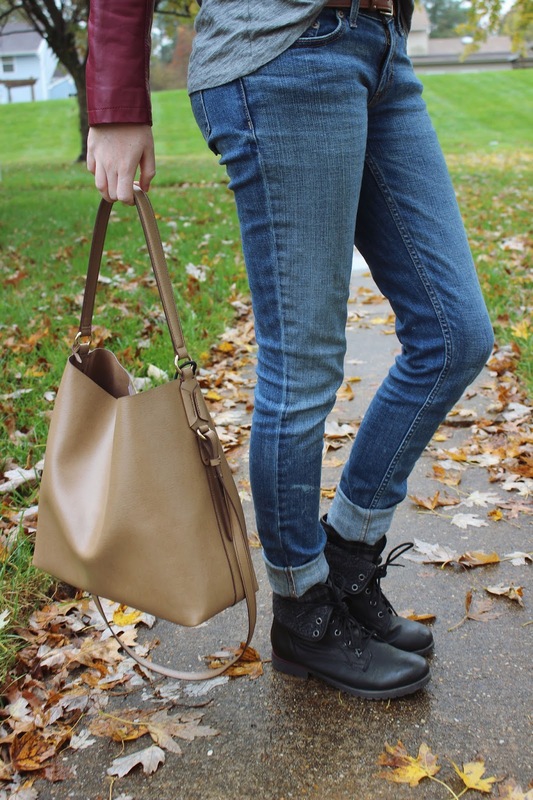 Love that you paired it with a casual jean and boots. Thanks for stopping by! 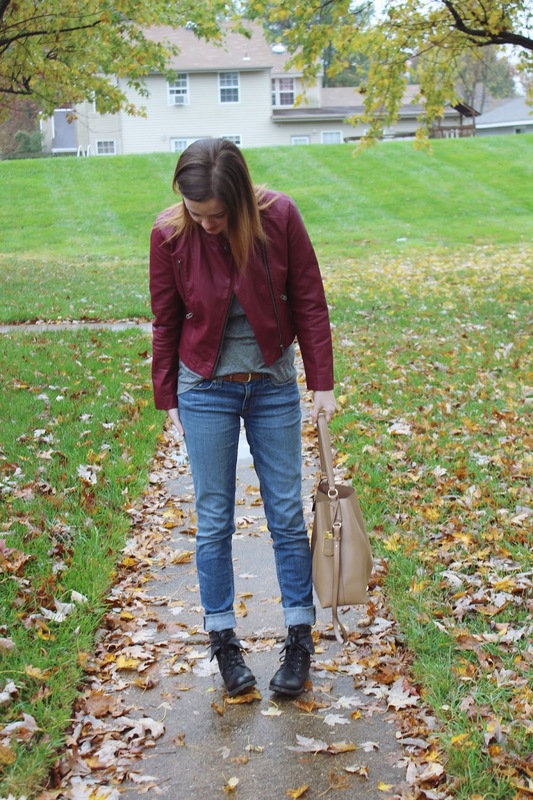 The berry colored leather jacket is so perfect for fall – the color is just stunning. Thank you! I practically live in leather jackets!